As a Generation 1 Transformers fan, I often find myself drawn to Hasbro’s Generations line of toys which takes the classic character we grew up with in the 80’s and gives them more modern looks while often times capturing that classic feel. 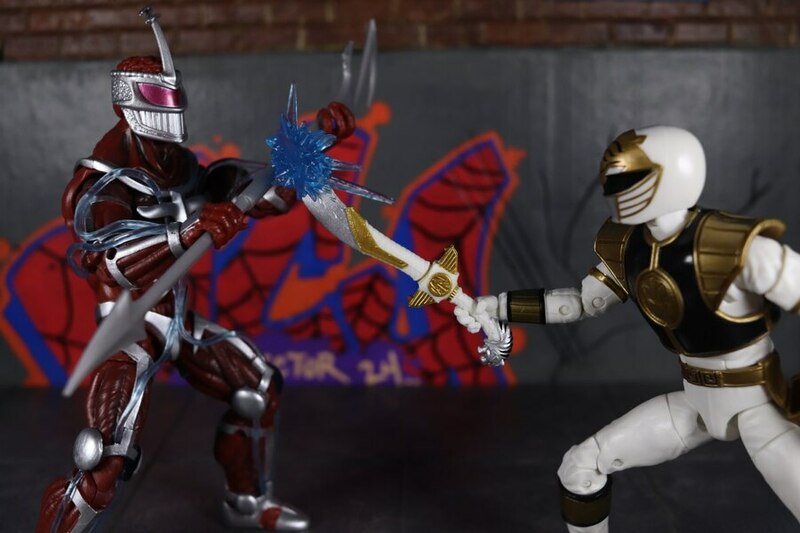 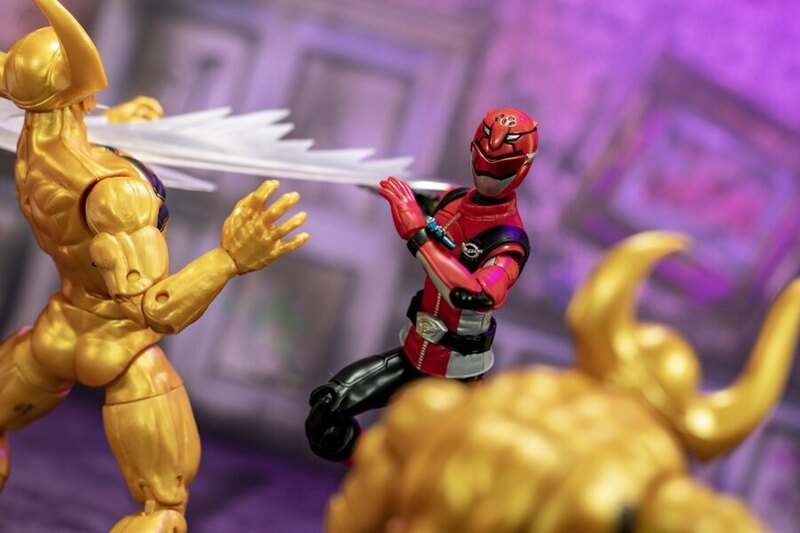 Not all the Generations stuff is a winner or an improvement of their vintage counterparts, but one comes along from time-to-time that really improves upon the original. Warpath comes to mind as a perfect example. 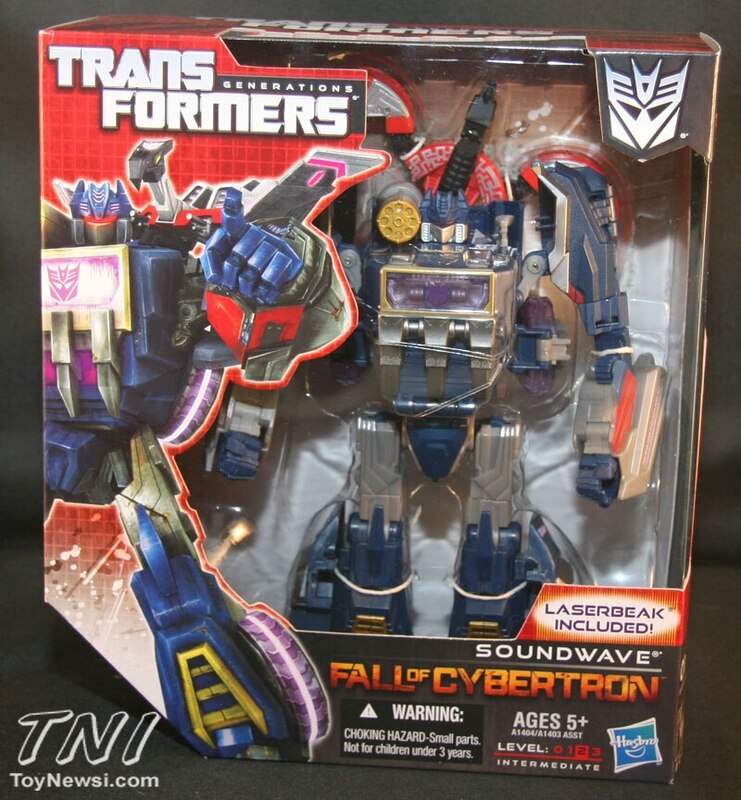 So when I first heard about the new Voyager Class Soundwave based on the Activision “Fall of Cybertron” video game, I was mildly curious. 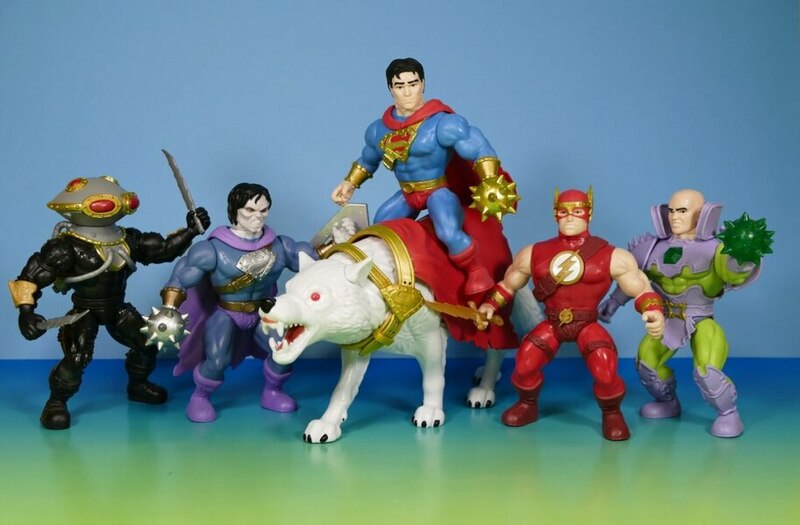 Truthfully, I am not a huge fan of many of the pre-earth vehicle modes these classic characters are given in the game. 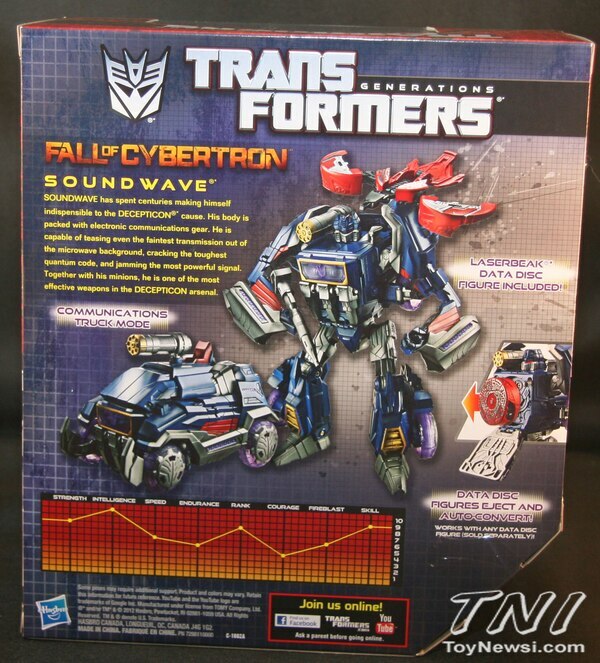 With a Generation 1 Masterpiece Soundwave in the works, I seriously thought about passing on this one until I saw it sitting on the toy shelf. 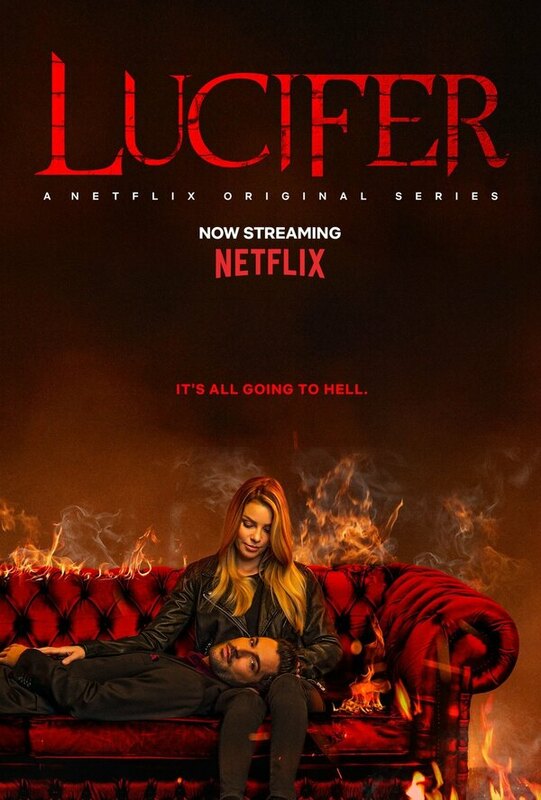 Then I knew I had to check it out. 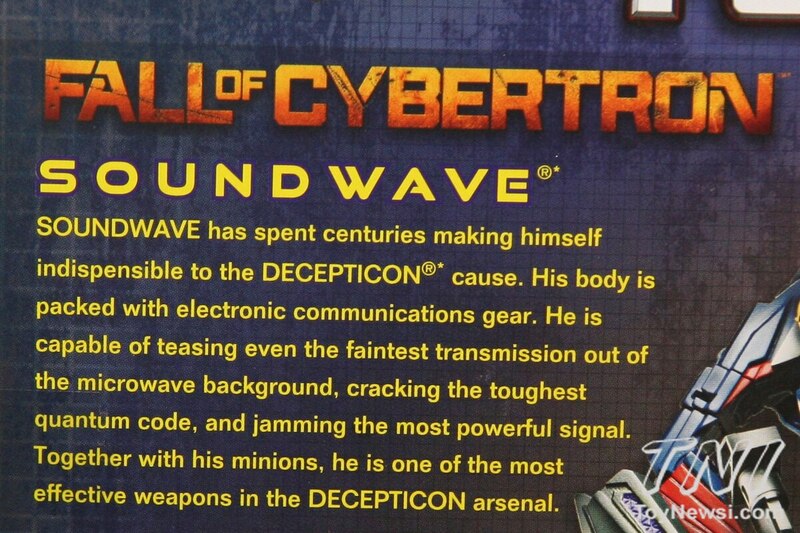 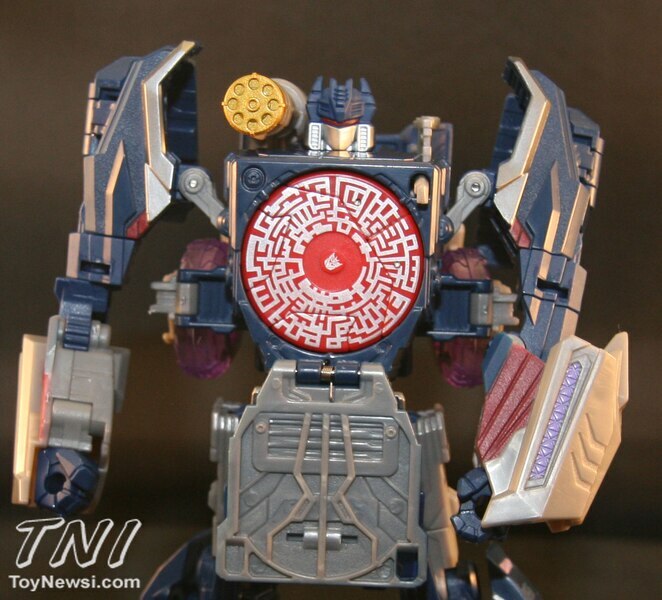 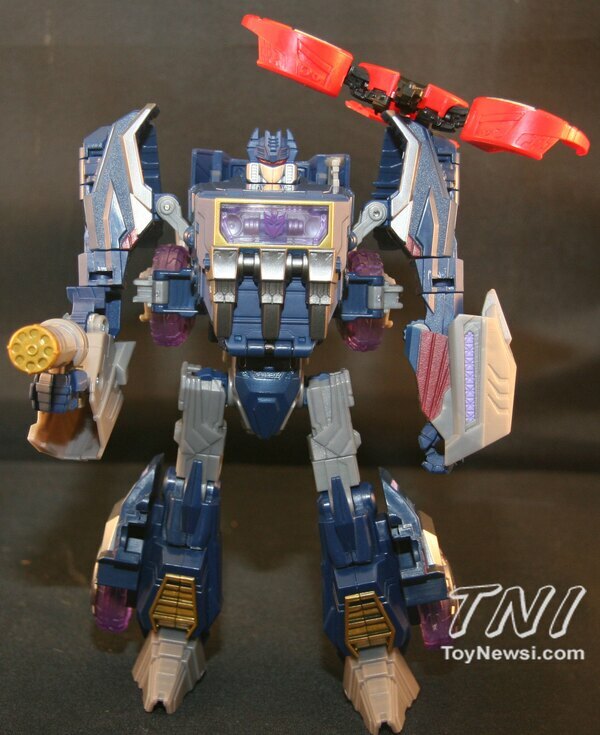 So is this new Soundwave toy superior or an uncharismatic bore? 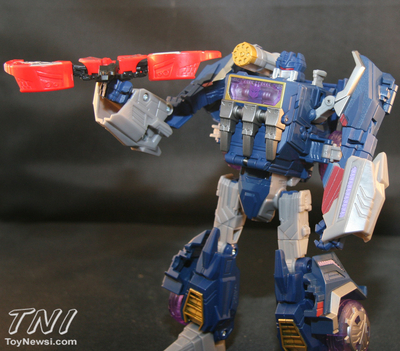 Read on to see my review and find out. Packaging - The packaging for this figure is really nice. Has a cool Generation 1 feel with some nice artwork to show off the figure. 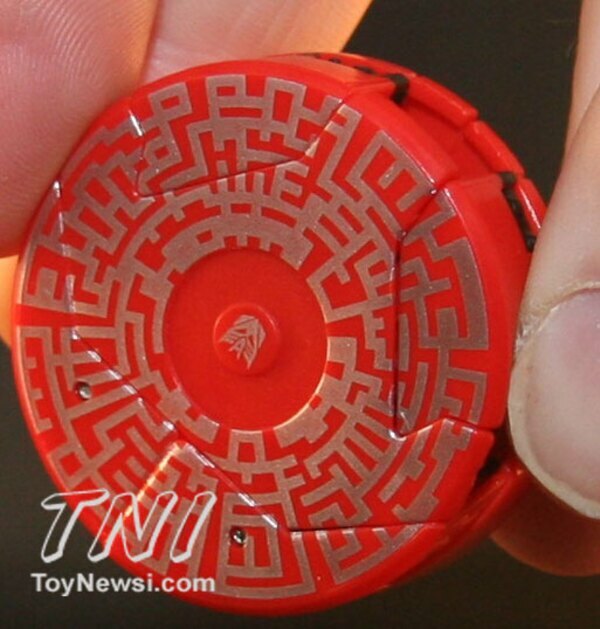 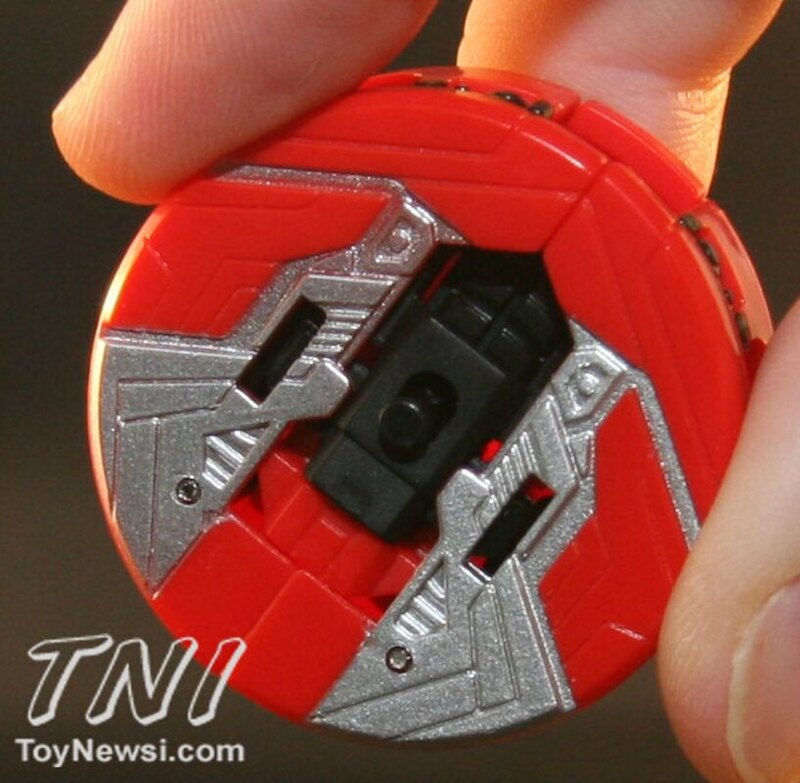 The front has the red checkered design similar to what we used to get with the old G1 Transformers. On the left side is art work showing Soundwave and Laserbeak in robot modes. This is next to a big plastic window that allows you to get a look at the actual figure inside. 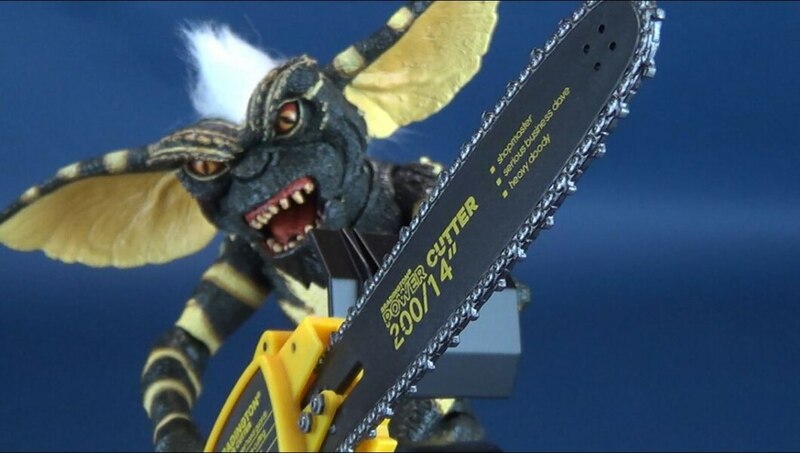 In the bottom right corner is a scale from 0-3 telling you how hard the toy is to transform. 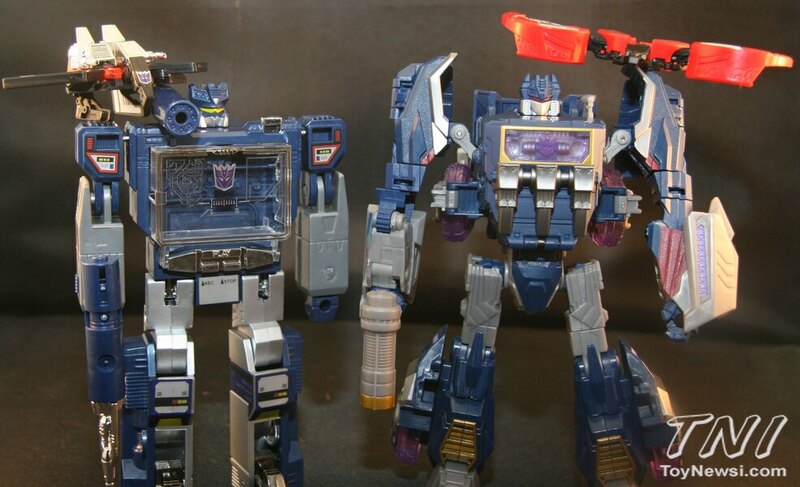 Soundwave is listed as a 2 for intermediate difficulty. The front also has the Transformers Generations title as well as the character’s name and the “Fall of Cybertron” logo since this figure is based on the character’s design from the video game. 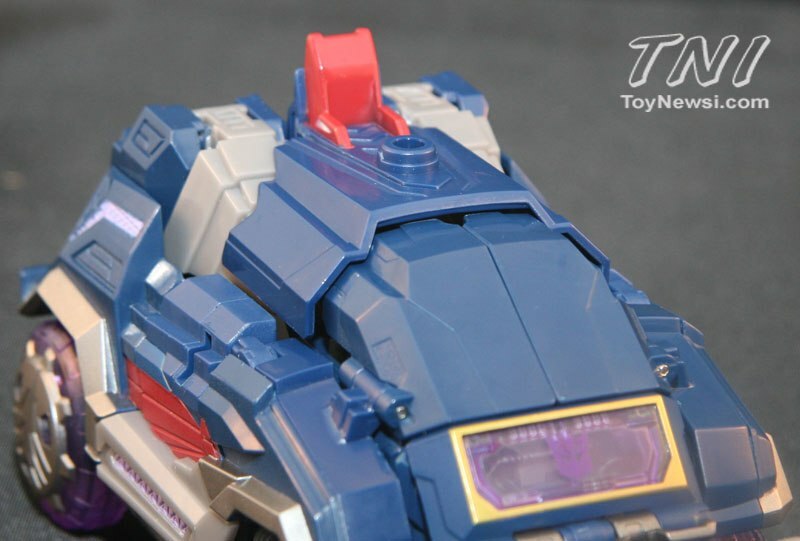 The back shows an image of the actual figure in both robot and vehicle modes as well as a a brief description of the character and a stat bar at the bottom, once again something very reminiscent of the G1 toys. 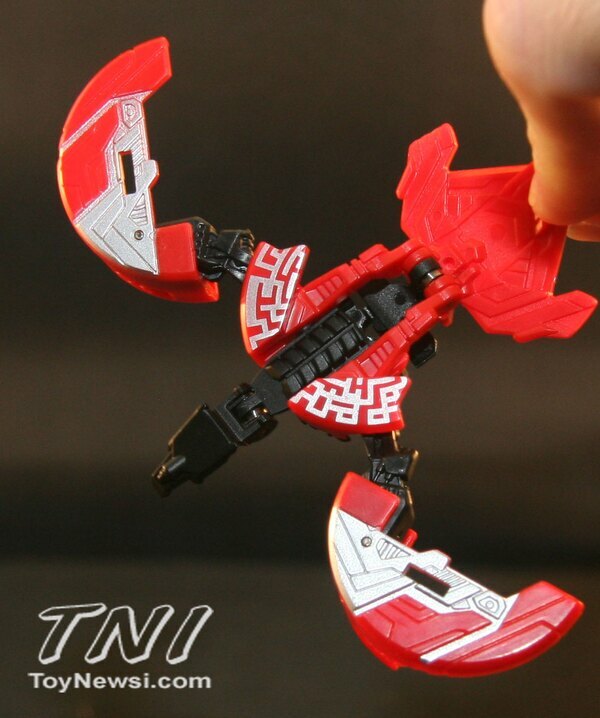 The only thing missing is the little piece of translucent red plastic to put over the graph to highlight the bar graph. 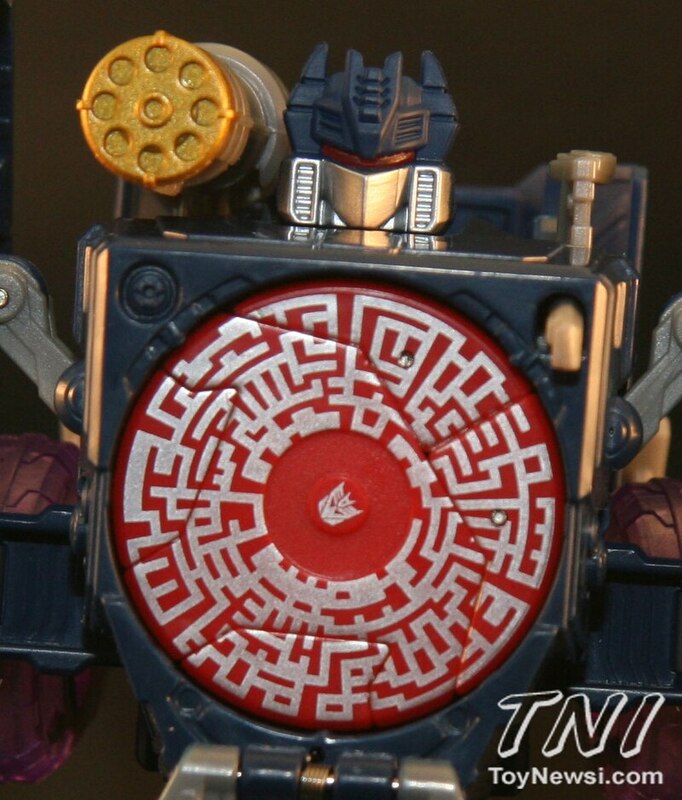 The stat bar is only for Soundwave though, no stats for Laserbeak. 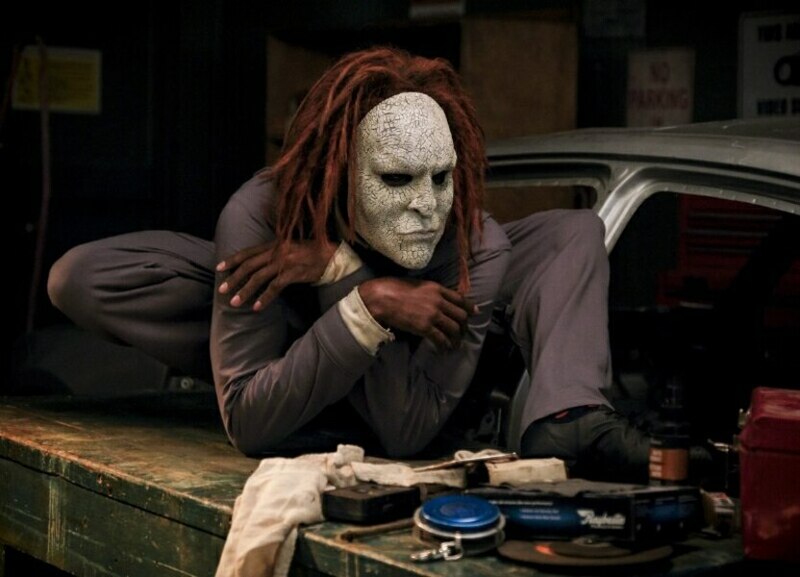 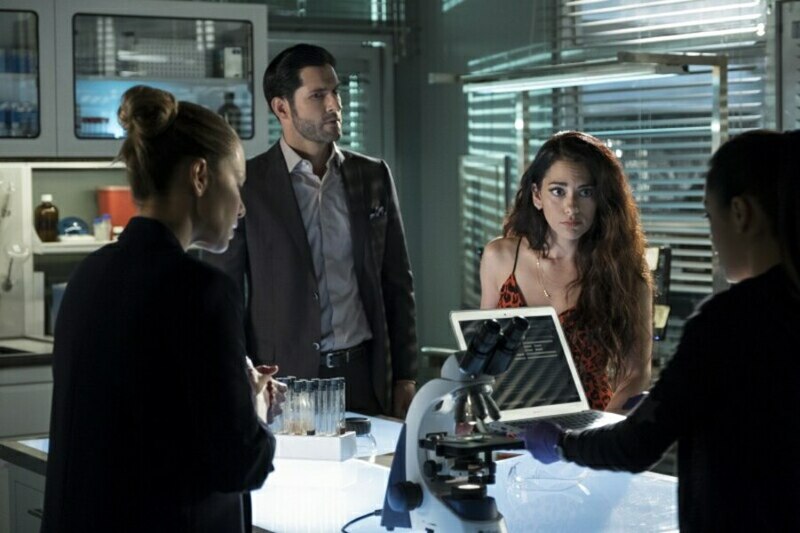 One thing I want to point out. 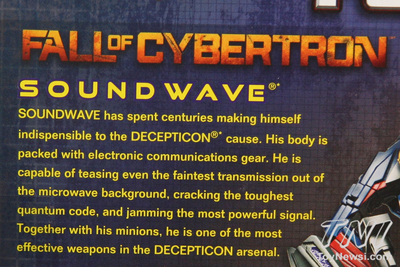 The image of the actual figure on the back of the package shows the figure with a blaster in its hand plus the shoulder cannon, however the actual toy came with no such blaster. The blaster shown in the picture almost looks like Optimus Prime’s rifle, so maybe Soundwave stole it for the photo op but I was a little disappointed to find no such weapon inside. Sculpt - The updated look, or maybe the old look depending on how you think about it, is very nice. 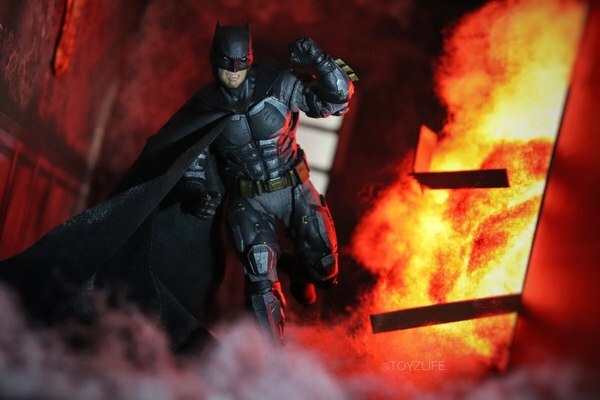 Obviously the actual design is based on the video game, but the toy captures that overall look and feel very nicely. 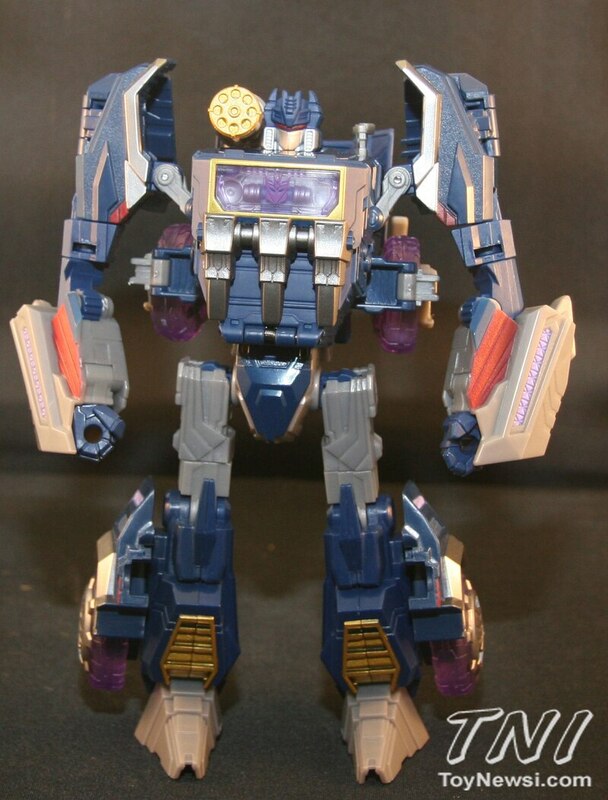 I have not been happy with most of Soundwave’s incarnations over the years, but this one remains very true to the original look yet has a more modern look. 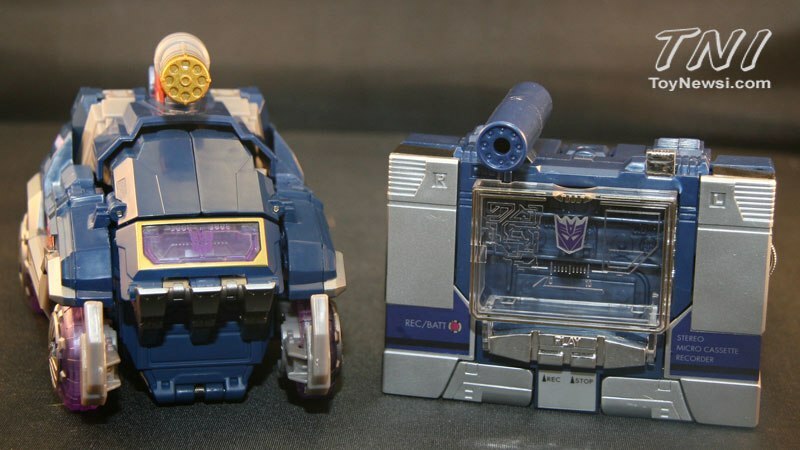 Even though technically this version is no longer a tape deck, he still has the cassette/disc storage function and the way they incorporate the actual holding of the disc minions is nice too. 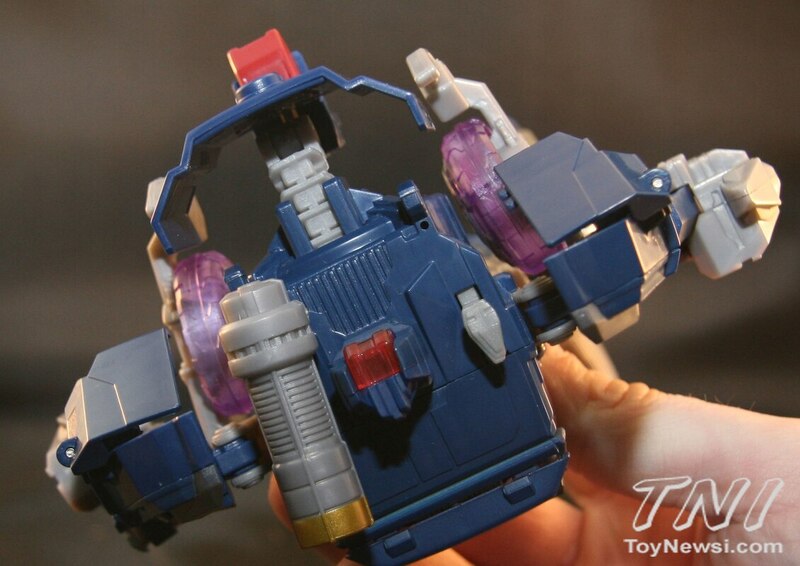 The toy allows you to hold multiple discs without looking silly. The head sculpt is the coolest looking part of the toy and the light tube for the eyes gives him that red glowing effect. 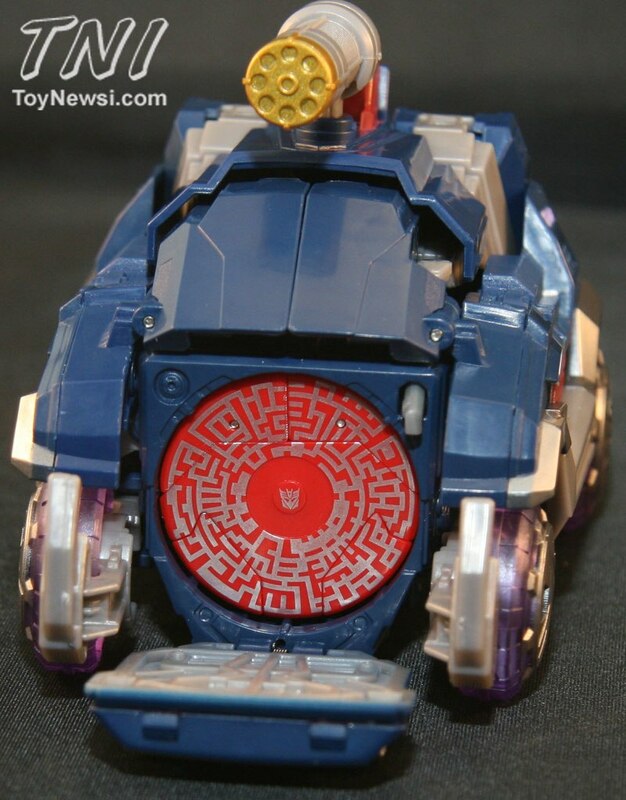 I also like the use of the translucent plastic for the wheels. 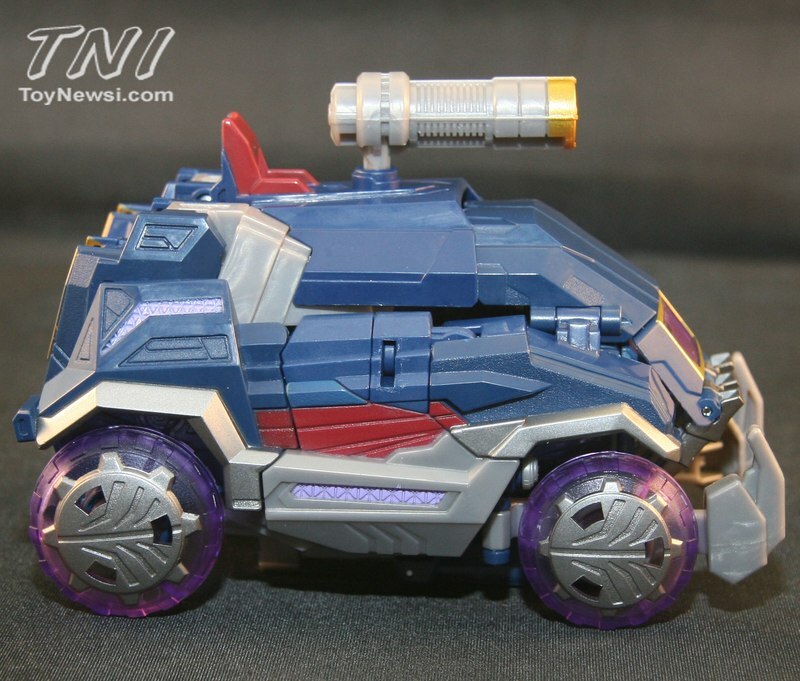 In robot mode they don’t look like actual wheels, and in vehicle mode they look very futuristic. 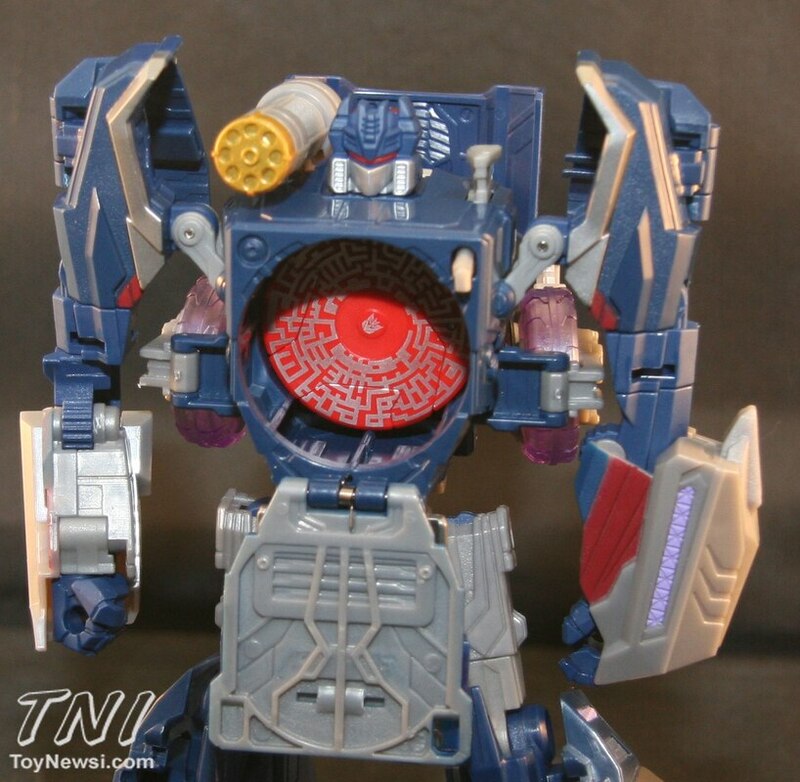 Laserbeak is now a circular disc and transforms into bird mode with a touch of a button. Nice detailing is painted on the disc mode. 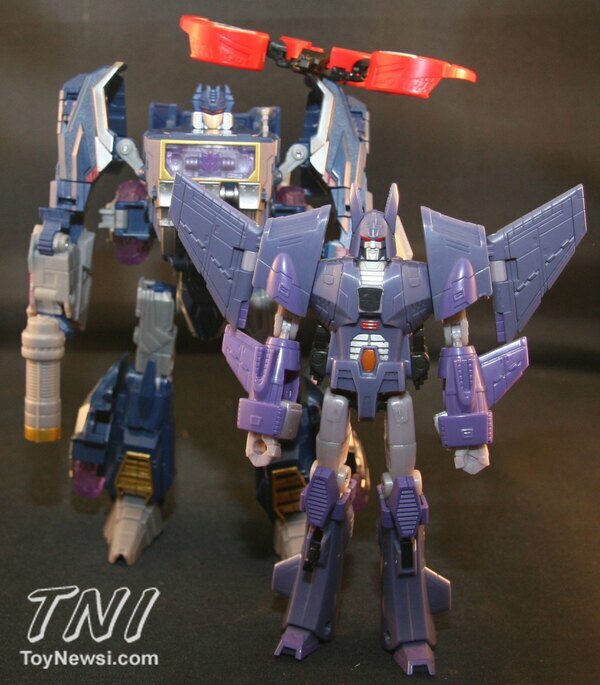 His bird mode remains very true to his original G1 look, and the head sculpt is almost identical. 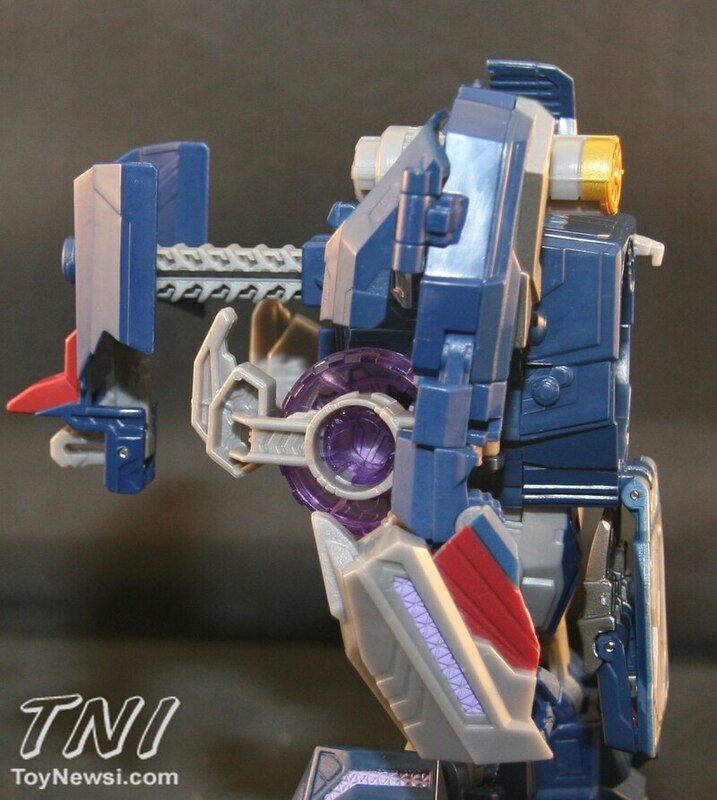 Some of the other discs that you can purchase separately seem to be a little lacking in detail, but Laserbeak is definitely the coolest looking of Soundwave’s minions currently available. 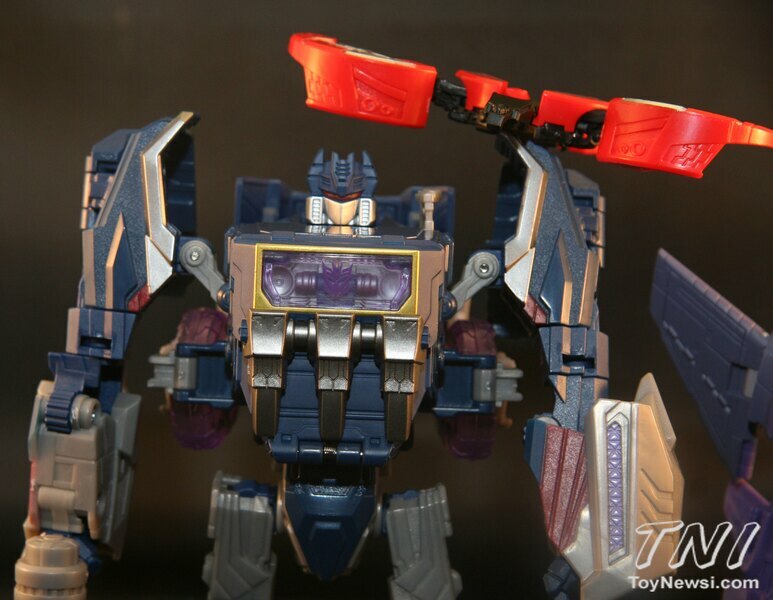 Paint - The paint apps for both Soundwave and Laserbeak are solid on this figure. Soundwave incorporates his traditional G1 colors of blues and grays with a little gold coloring on the legs and shoulder cannon for added dimension.There is a Decepticon symbol painted on the windshield located on his chest which is nice. 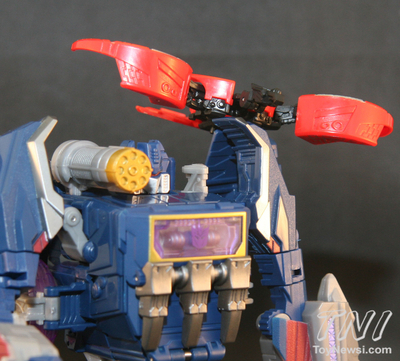 Laserbeak also incorporates his traditional G1 colors of red and gold. 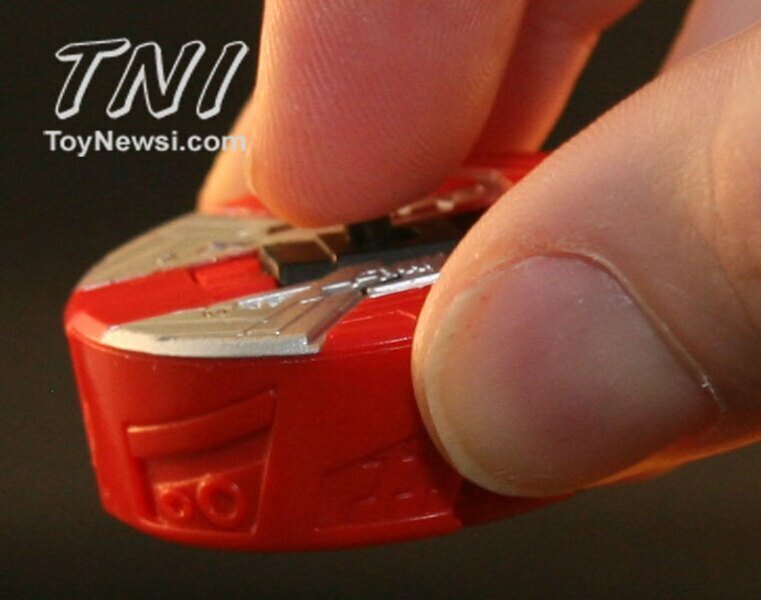 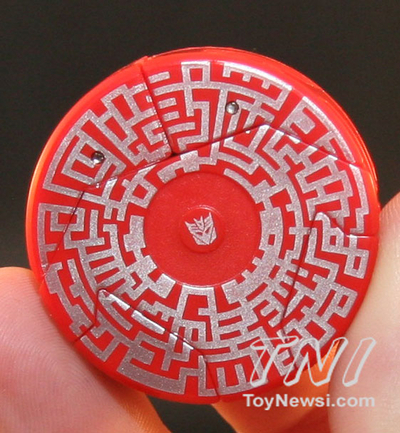 The top of the disc is all red with gold metallic lines made to look like a circuit board design painted on top and a tiny Decepticon symbol in the middle. 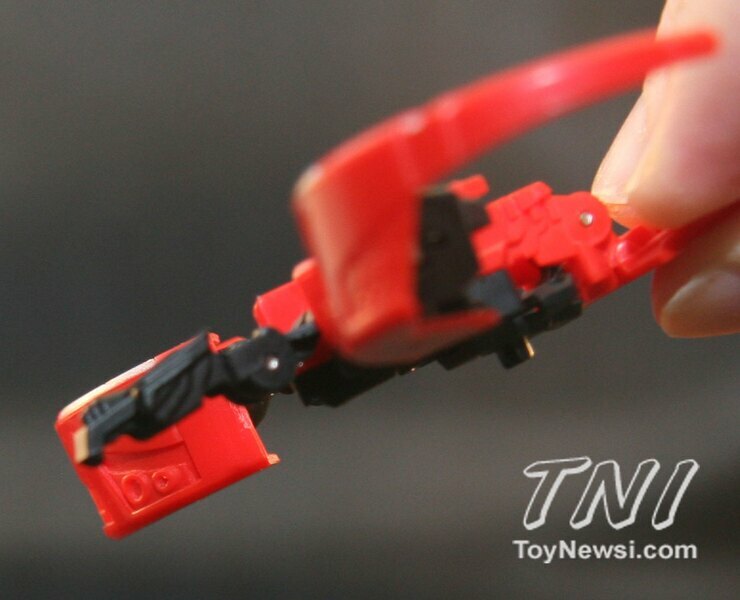 The head and bottom portion of the body in bird mode is black. 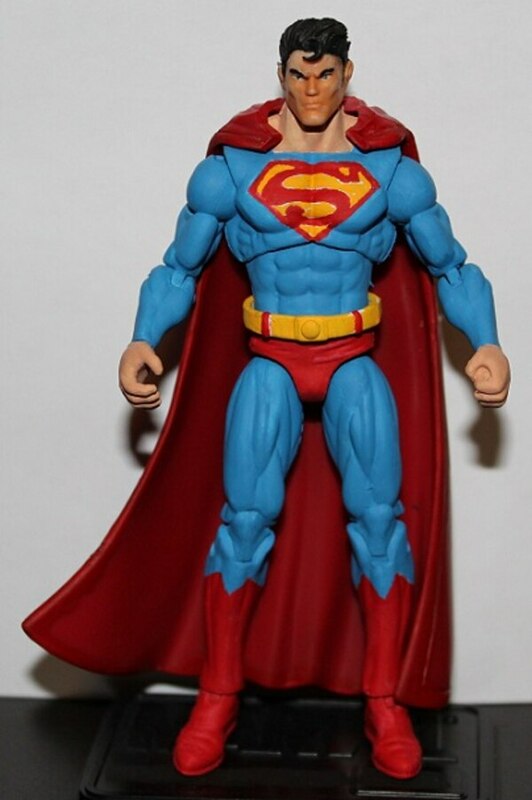 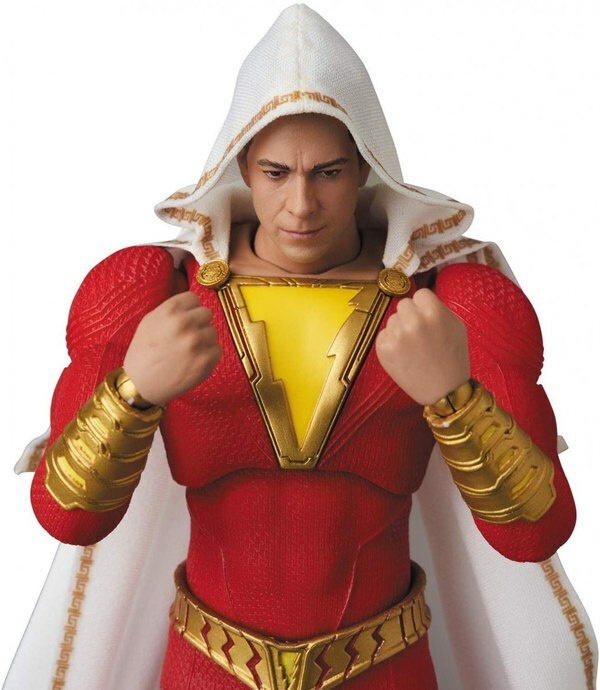 The only flaw I can find with this figure is that they didn’t bother to paint the eyes a different color. 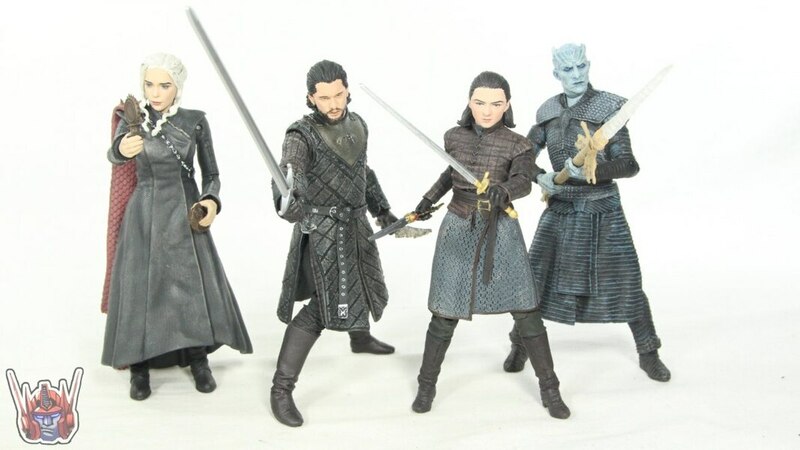 A dash of gold or red in the eyes would have been nice so that they stand out like on the original. 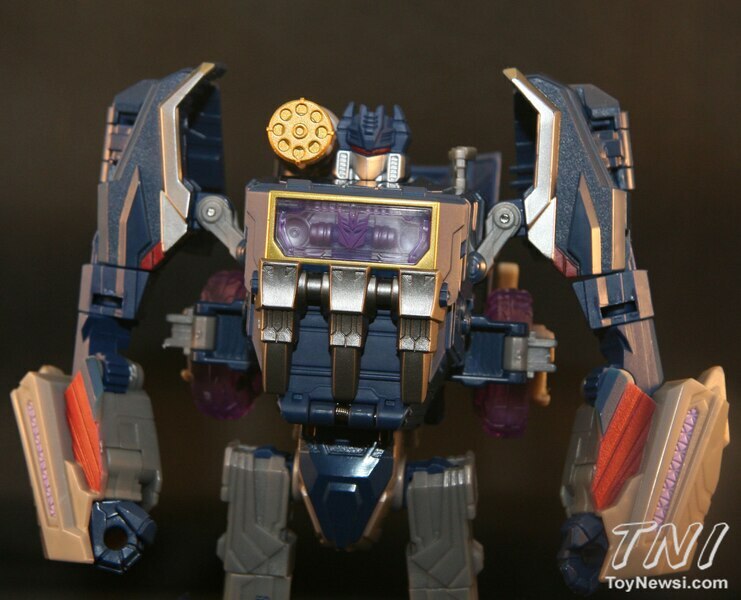 As it stands, you can’t really see any of the features on the head because it’s all solid black. Articulation - Soundwave has a nice range of motion for a Transformer. 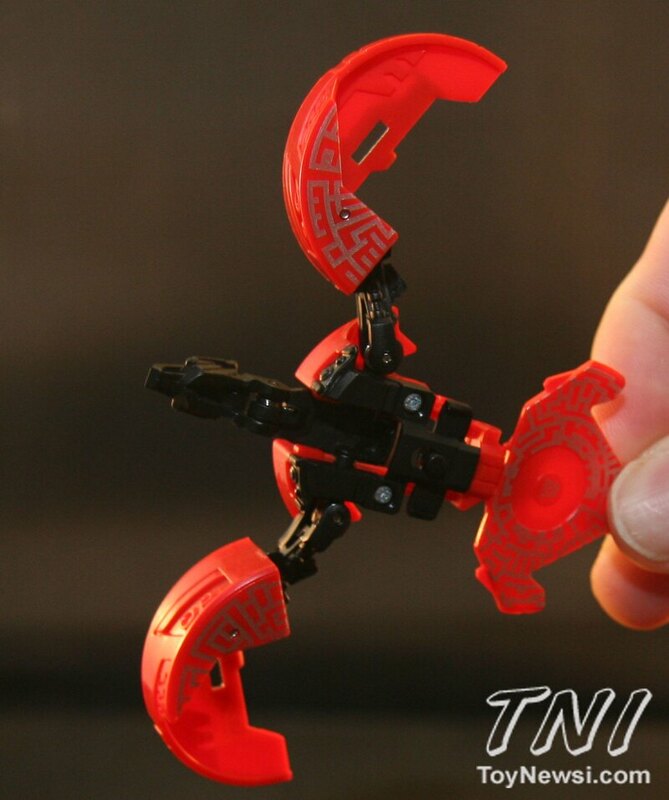 He can bend and swivel his elbows, wrists and shoulders. 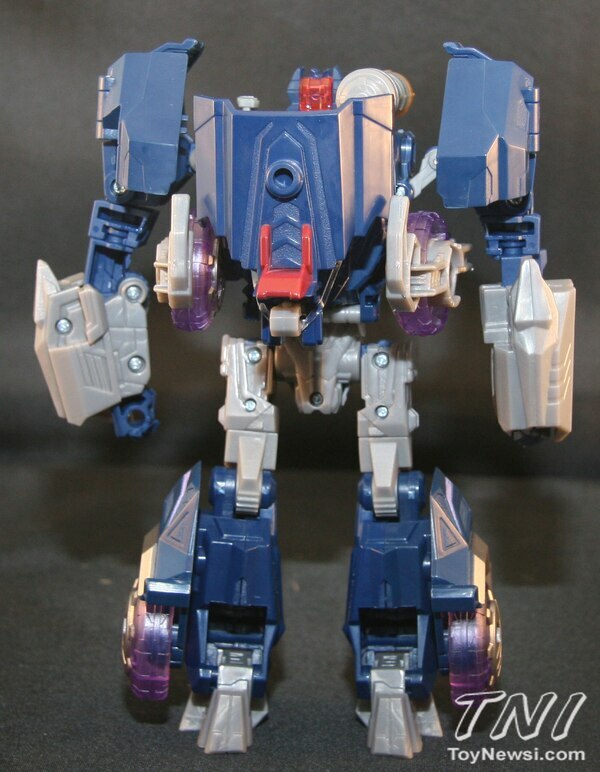 His feet can move up and down, but you can’t swivel them at the ankle. The knees can bend back and forth, and there is a swivel joint in the thigh area. 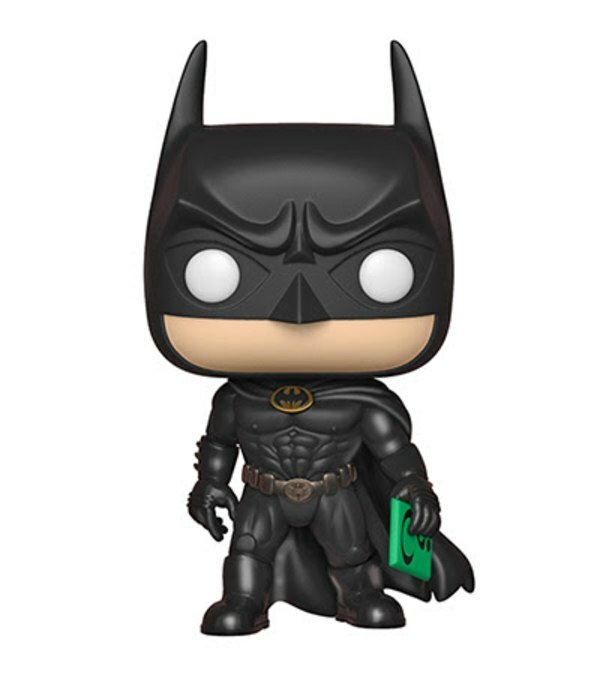 There is no swivel at the chest area, and the head doesn’t move very well either. 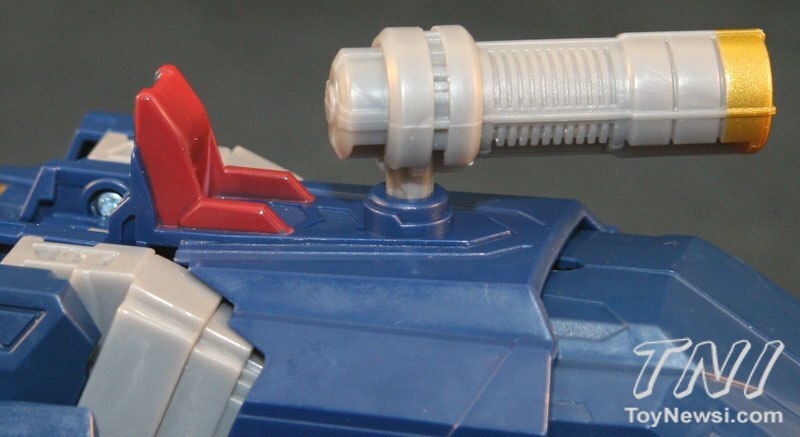 You can turn it some to the left but not at all to the right or up and down. 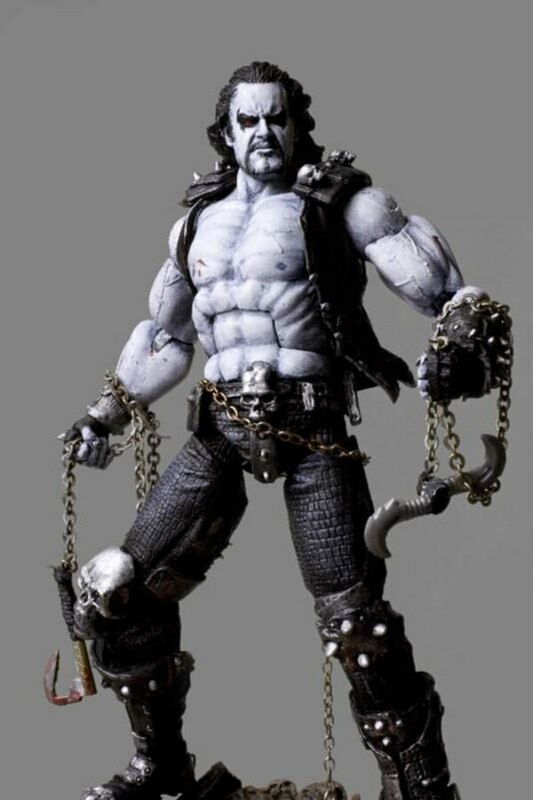 The chest pops open at the touch of a button located at the top of his chest, and a mechanism located on the back of the figure can be pushed to eject discs from the front of the figure. 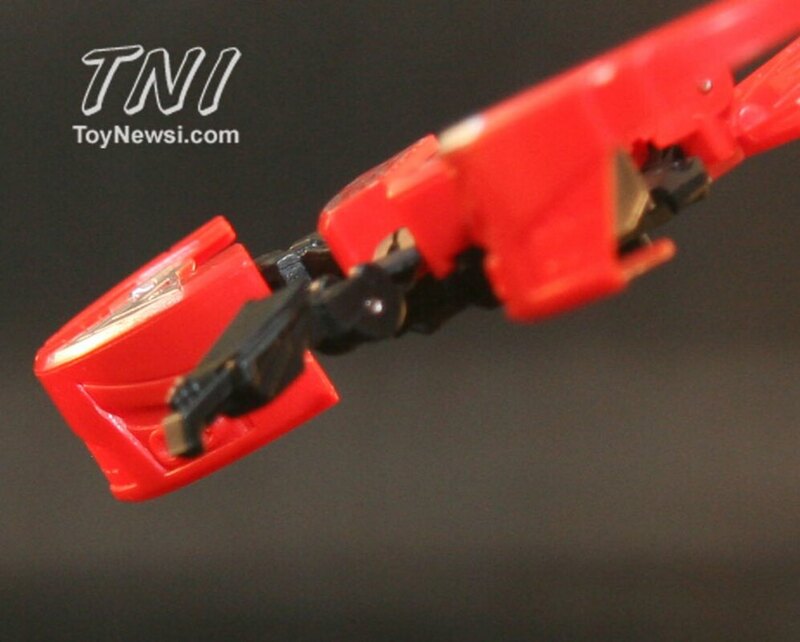 The legs are attached at the waist with ball-swivel joints. 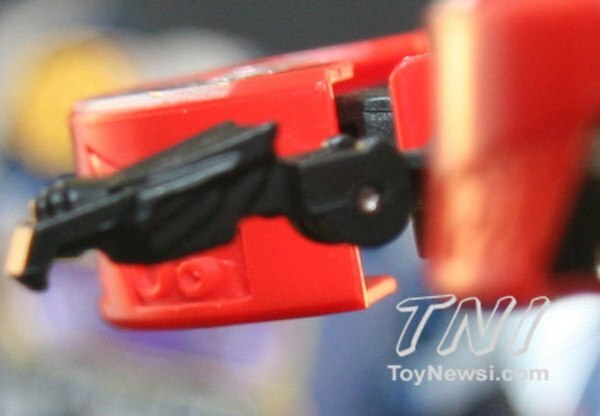 Laserbeak has a number of joints so it can transform from disc to bird, and it has a cool feature where all you do is push a small button on the bottom and it springs into its transformation from disc to bird automatically. The down side is that all the joints are basically built with this spring mechanism in mind, so he is kinda stuck in one position. 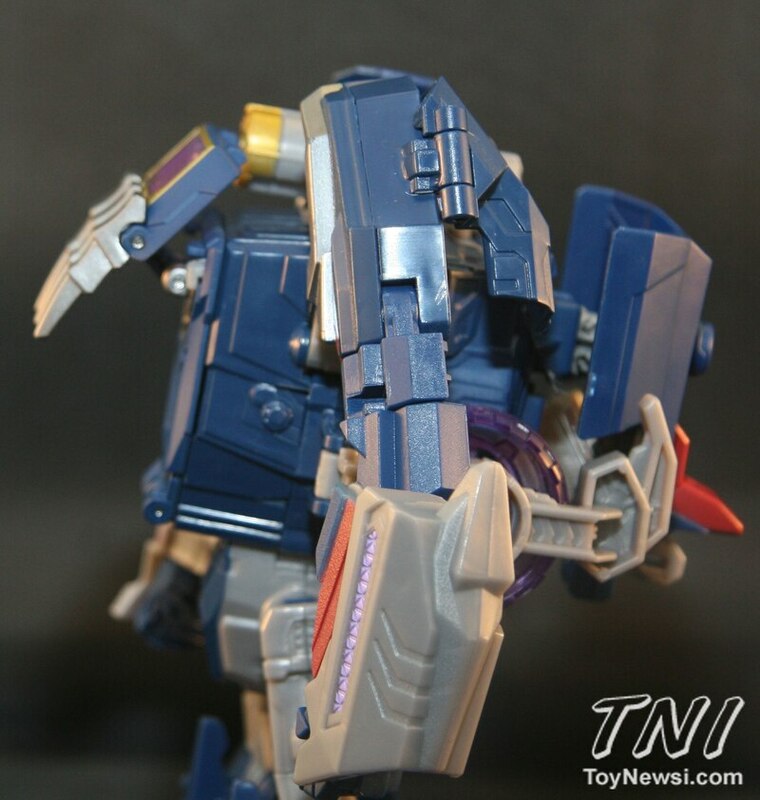 For instance, you can technically lift the figure’s head up or push it down but it automatically springs back into the straight ahead position when you remove your hands. 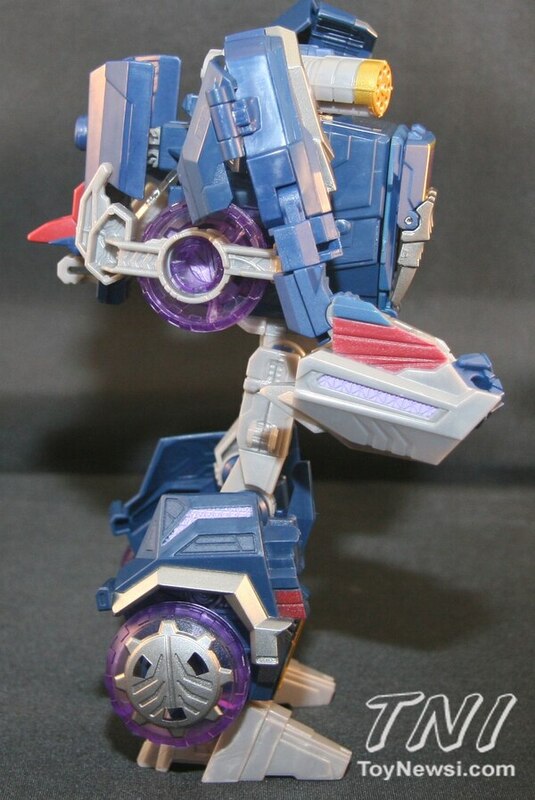 You can push the wings back some to give the figure a more sleek flying pose if you want but otherwise he is pretty much stuck in one standard pose. 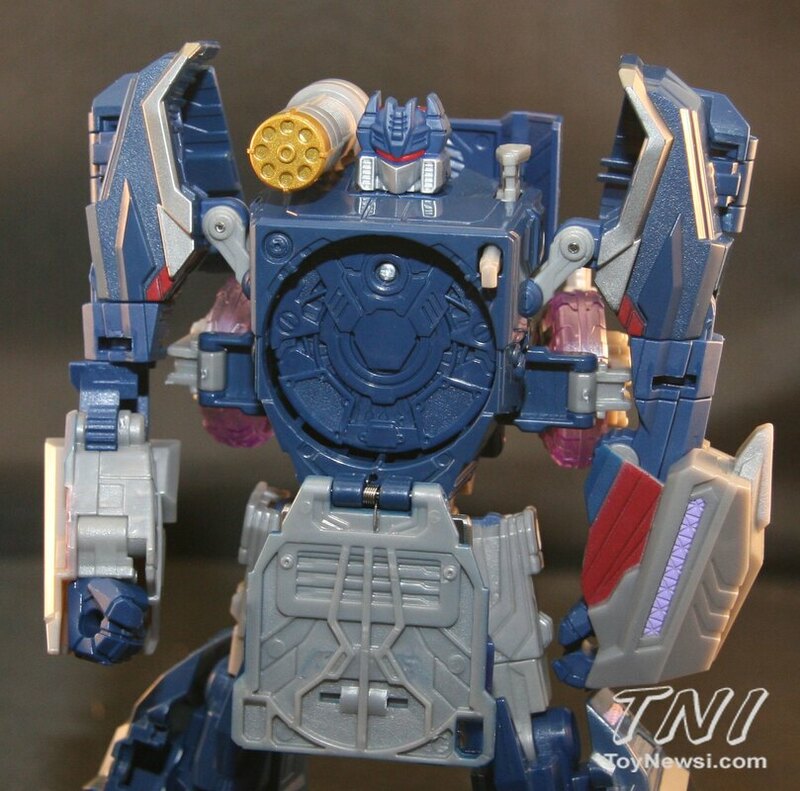 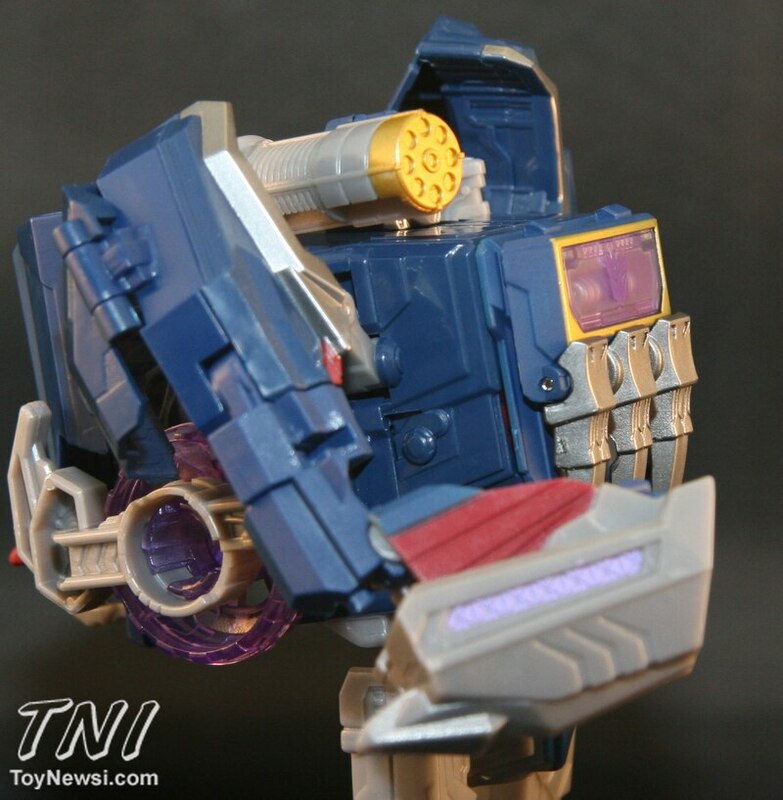 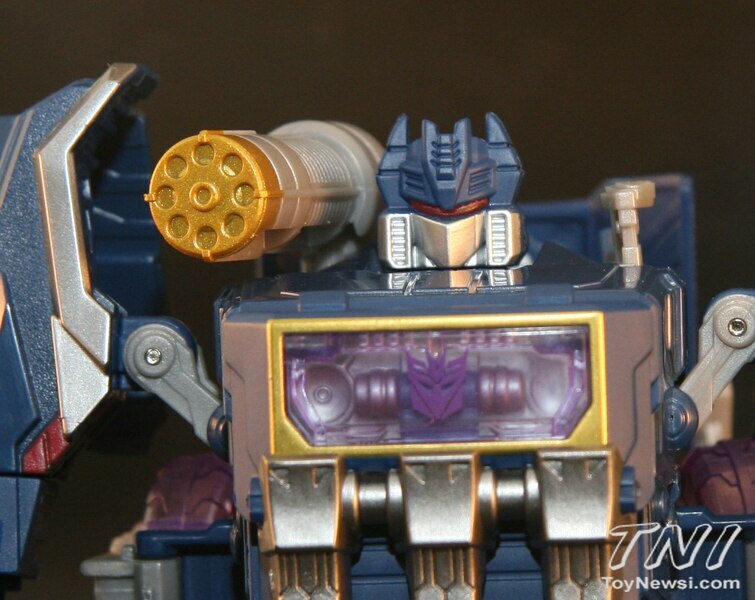 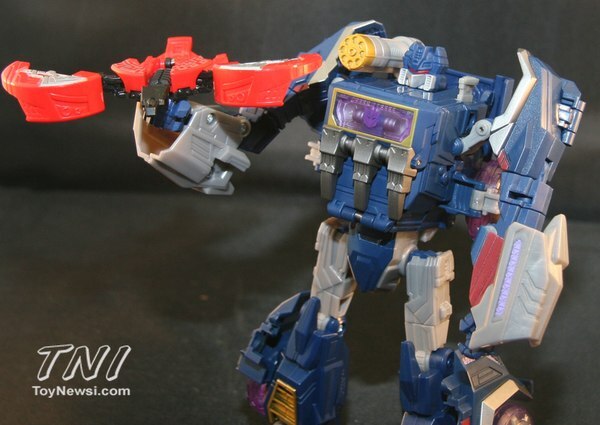 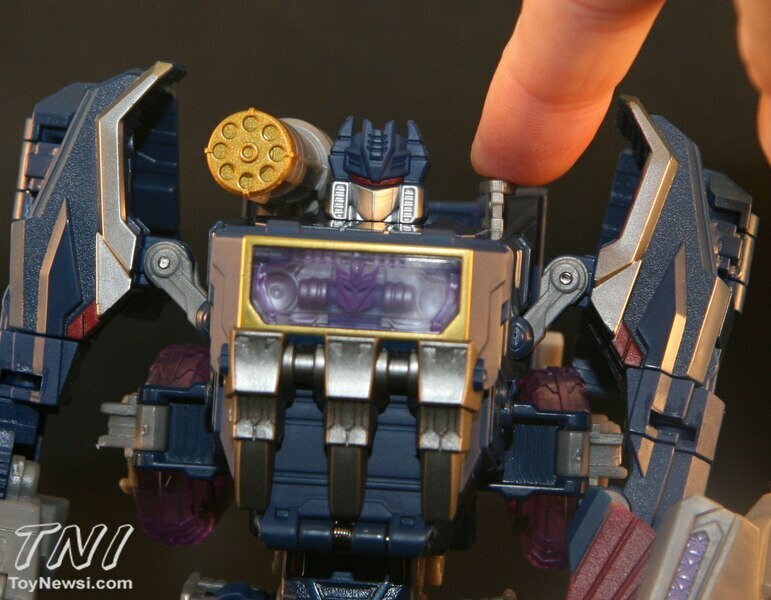 Accessories - Soundwave comes with a shoulder cannon which can also be held in the figure’s hand as a blaster. As I mentioned before, the picture on the box indicates there should be a second blaster included but none was included with mine. 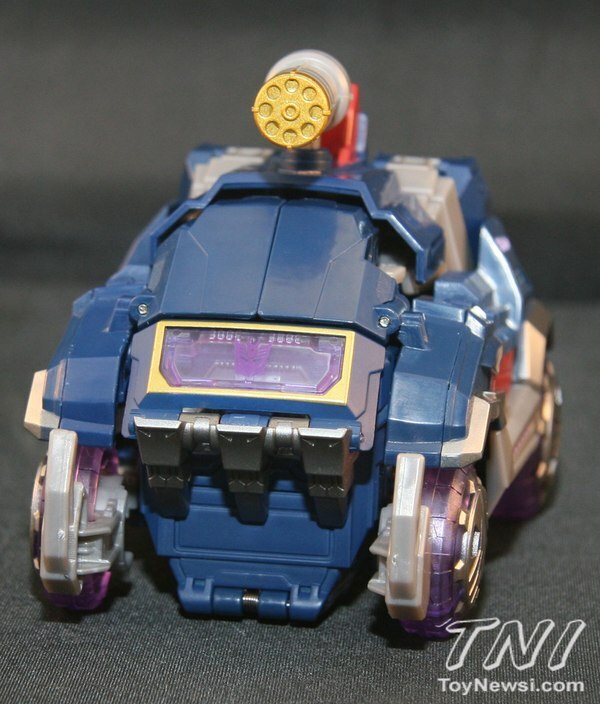 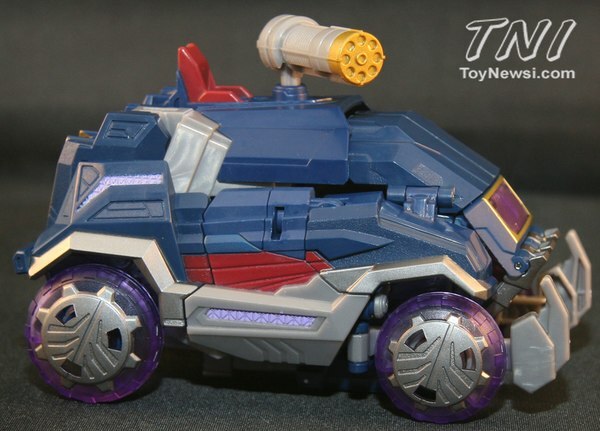 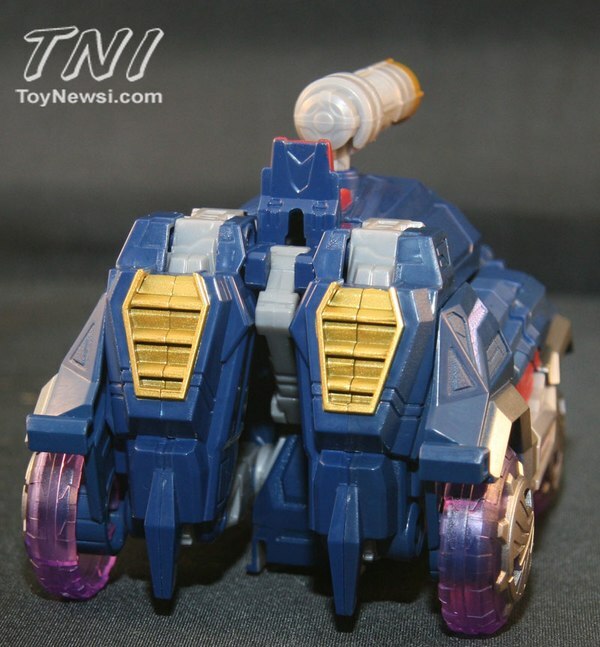 In vehicle mode, the shoulder cannon can also be placed on the roof. Soundwave also comes with the Laserbeak disc. 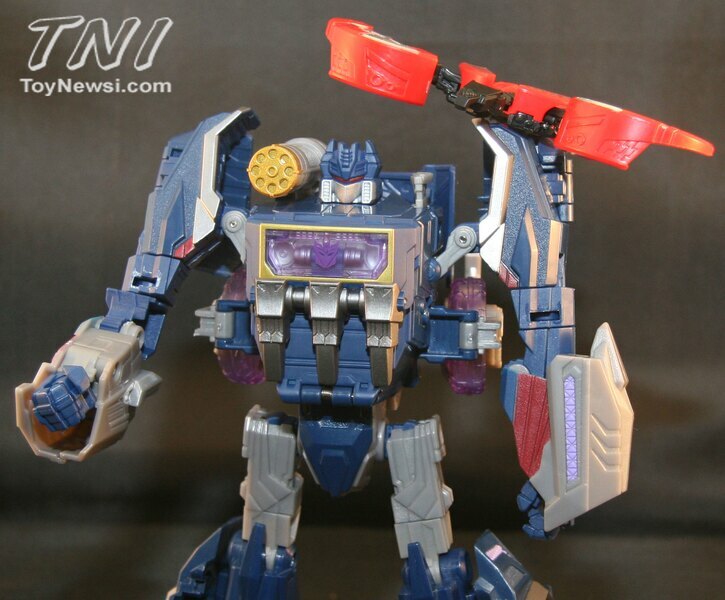 Hasbro currently sells two other Minion two-packs, so you can add Ratbat, Ravage, Frenzy and Rumble if you want and the figure will hold multiple discs at one time which is nice. 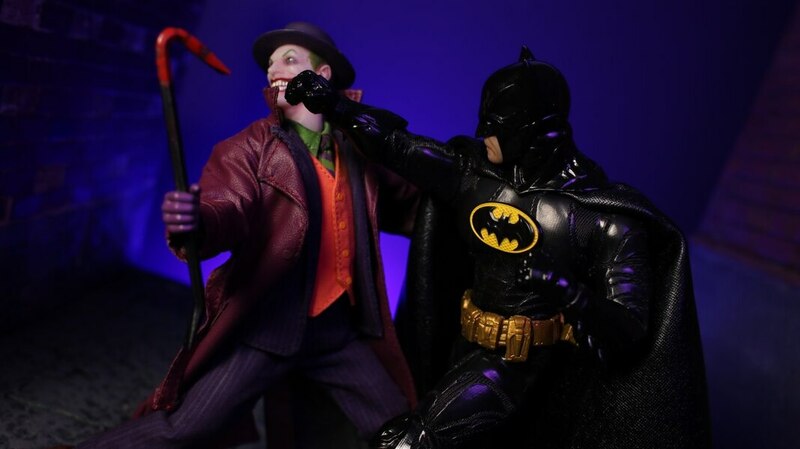 Fun - This figure is very fun to play with and pose. He comes with cool features like the ability to hold and pop out multiple discs. 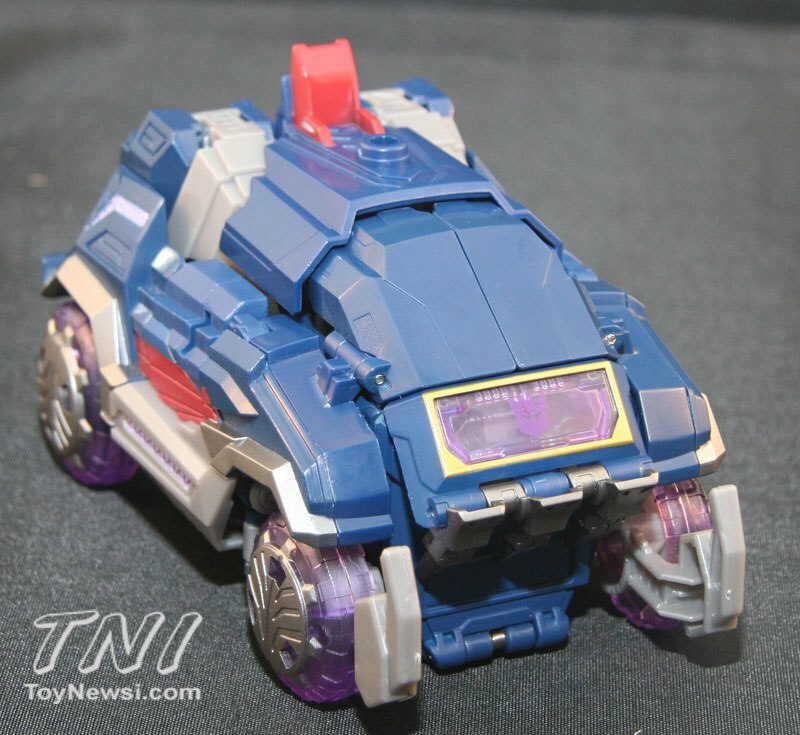 It’s hard for me to imagine Soundwave as a moon buggy, but even in vehicle mode he is kind of cool to roll around. 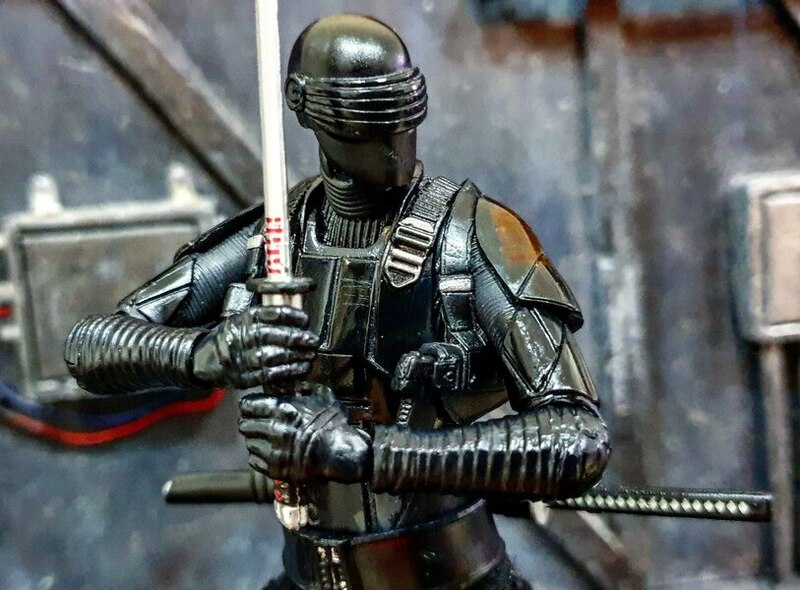 Quality Control - My figure didn’t have any noticeable errors or problems other than missing that second blaster that was pictured on the box. Overall - If you are a G1 fan like me or just a fan of Soundwave, then this is one to pick up. I think it looks cool in the box or loose and is a nice updated look to such a classic character, not to mention you get two toys for the price of one with Laserbeak. 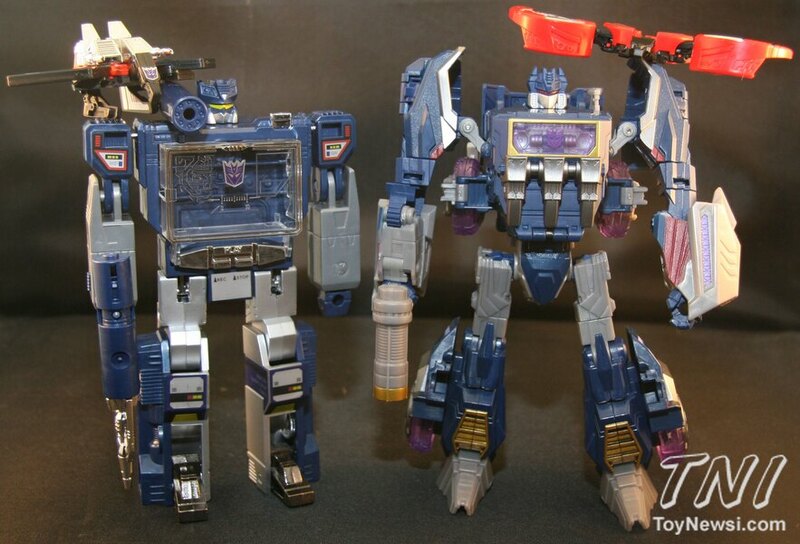 I will still be eagerly anticipating the arrival of that Masterpiece Soundwave coming out later this year, but for now this is a nice one to tide me over.